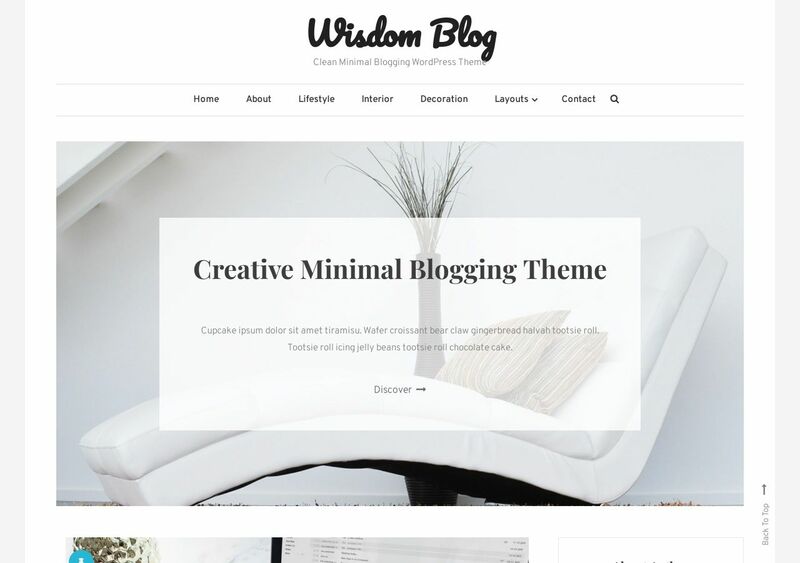 Wisdom Blog is a fresh and clean blogging theme provided by CodeVibrant. Far too often developers mix and match dynamic colors and elements that look good on the eye, but prove futile in terms of readability. Whereas with Wisdom Blog, the theme design is almost exclusively based on black, white and grey colors. That truly minimal website experience, but not without a design structure that makes sense. Bloggers in industries like food, marketing, and personal stories are using Wisdom Blog to run their communities. And so far, based on independent reviews, it seems to be doing a great job. The layout uses a top-header slider to display your most important posts, whereas the rest of the content is displayed in a fashionable 2-column grid layout. A sidebar is always present whether it’s category pages or a blog post itself. Readability wise, you can fire up Customizer and edit font styles to your personal preference.